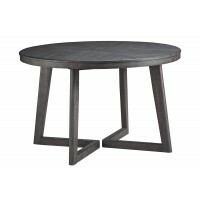 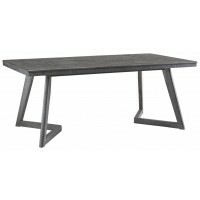 Made with thick Acacia veneers and select Acacia solids in a dark charcoal color with natural rub through effects. 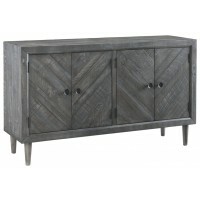 Buffet has four doors with chevron veneer layup. 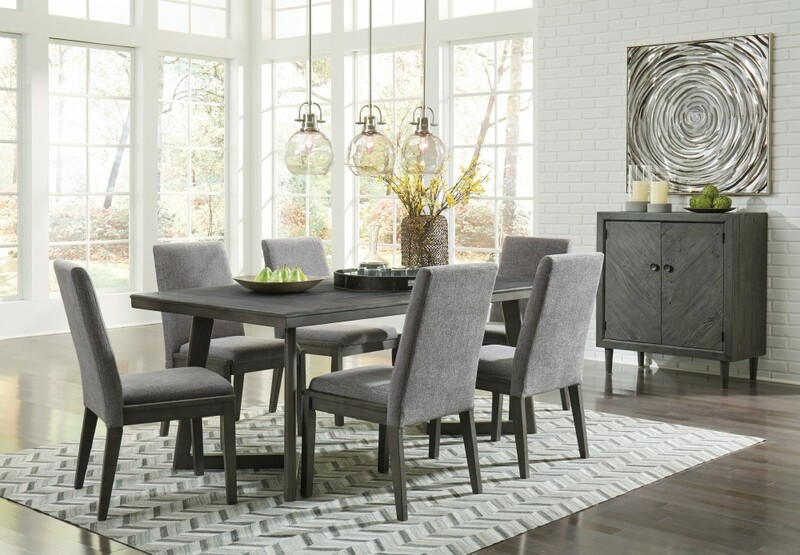 Offers plentiful storage space with adjustable shelves behind the doors. 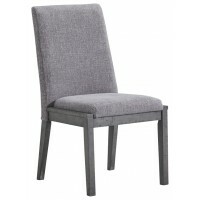 The chair has a unique design with cushioned seat and back covered in a gray woven textured fabric.